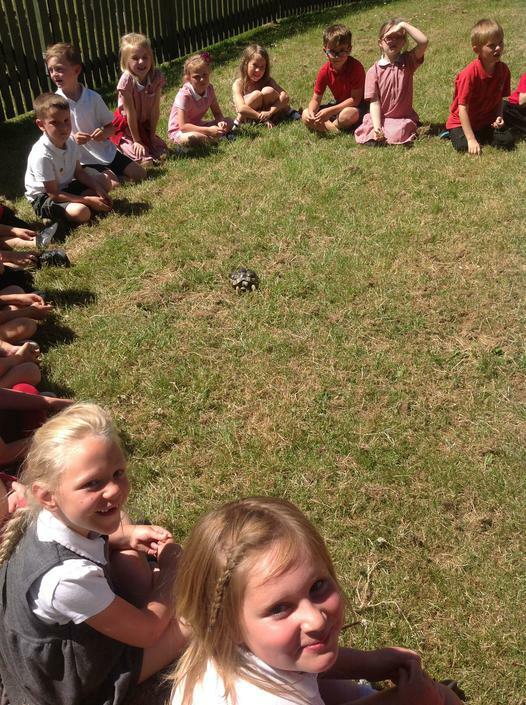 Class 1/2S had a visit from Mrs Newbold's pet tortoise. 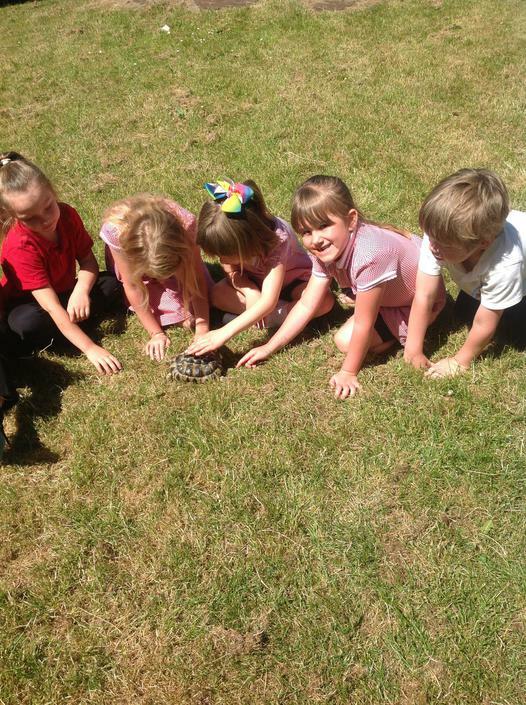 For the past two weeks they have been doing Tinga Tinga tortoise art and making clay tortoises, so it was good to be able to see a real tortoise. Her name was Milly and she was over 20 years old!! 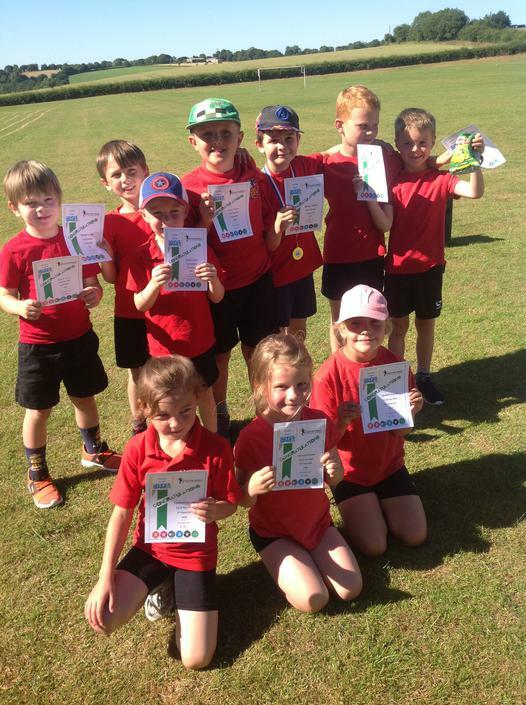 10 Year 1 and 2 pupils went to a fun run competition. One of our pupils came 1st in the boy’s race! 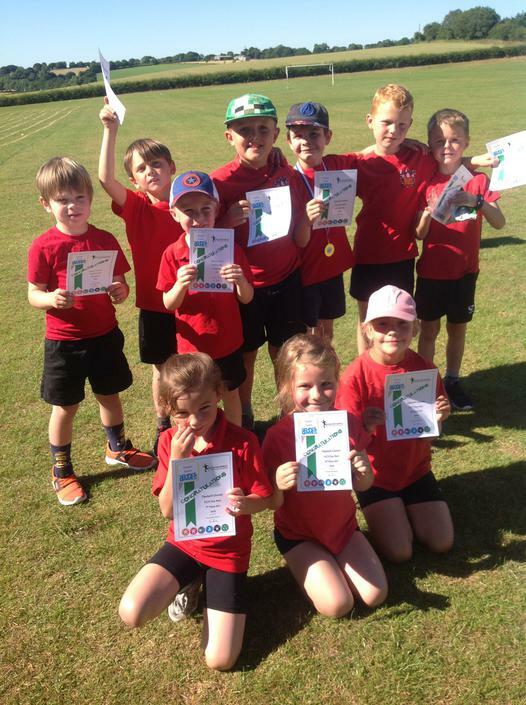 They all did so well and made Miss Seymour and their parents very proud. They were a credit to HPS and all looked so good representing us in their red t-shirts. Parents/ Grandparents and friends were invited to the school’s Annual Art Exhibition. As ever the art work was incredible. Photographs of the evening can be found in the Gallery section of the website. On Wednesday Reception visited Butterfly World and were amazed with the variety of colours and sizes of the different butterflies.